Don’t know the name Anna Haugh? Well you will soon enough. 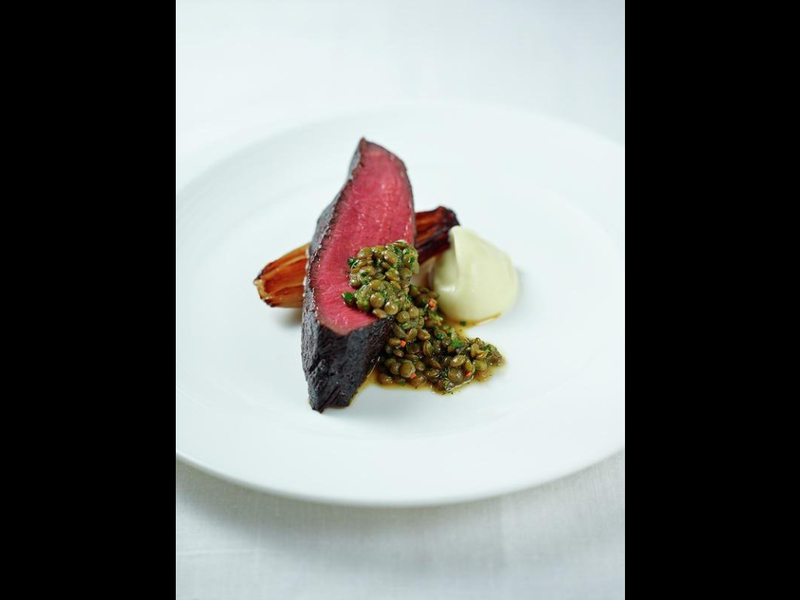 As a top female chef having commanded some of the best restaurants in London, there’s no better place for Anna Haugh to be right now. 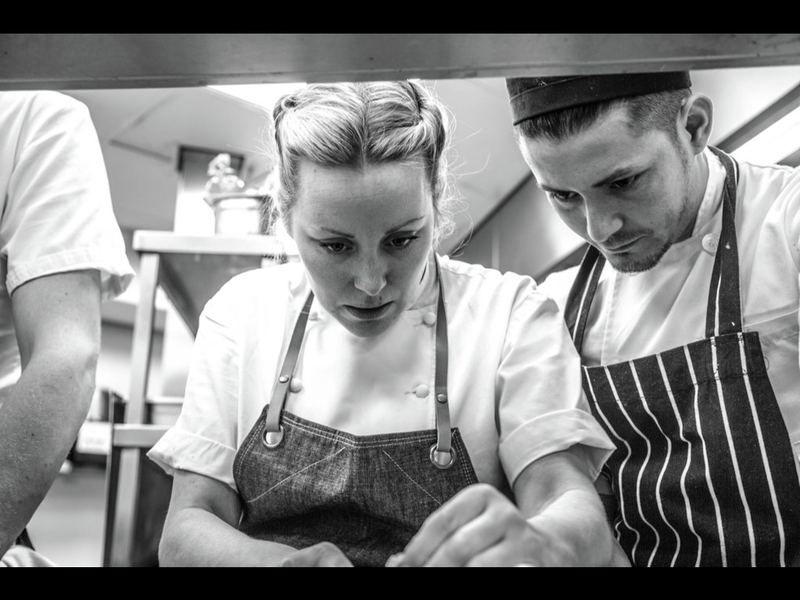 Born in Dublin, she’s spent the past decade and a half working her way around kitchens across the world and is a true Irish culinary talent that deserves to be a household name. 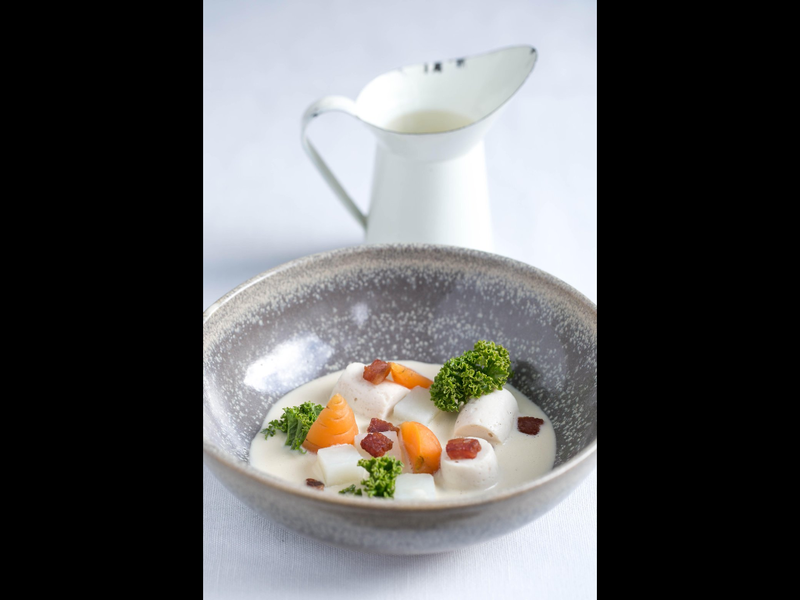 From Derry Clarke’s l’Ecrivain in Dublin to Gualtiero Marchesi’s restaurant in Paris to Pied à Terre in London, Anna comes from a Michelin star pedigree. 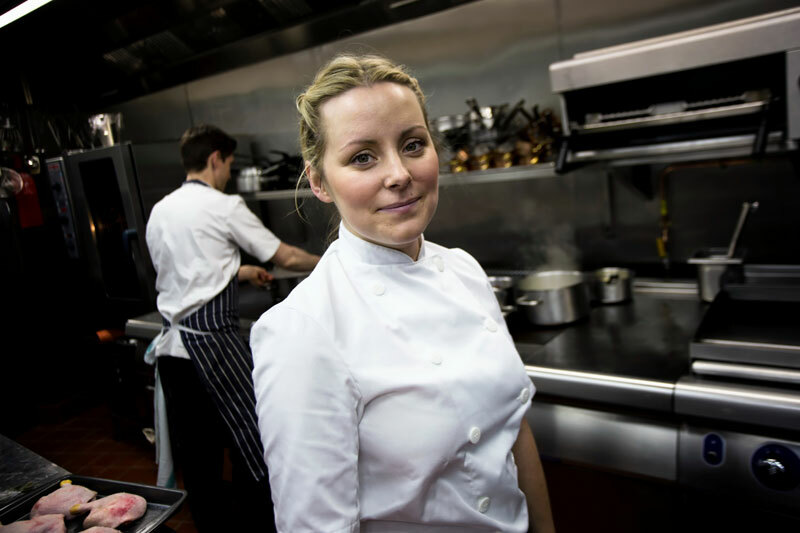 Continuing our GastroGays Meets… series, we caught up with her to talk kitchens, cookery and what it’s like to be one of the most successful Irish chefs in London. In Patrick’s former job in PR, Gordon Ramsay Group was one of his biggest clients and that’s how we originally got to know Anna, who joined the Group a couple of years ago and worked her way around Ramsay’s esteemed portfolio. From writing about her menu specials, editing interviews and compiling all sorts of press materials for the Group, his interest was piqued in the last two years by a blonde and bubbly Irish chef who was commanding the pass at 3 AA Rosette London House in Battersea with incredible dishes, inspired menu specials and a tight-knit team. 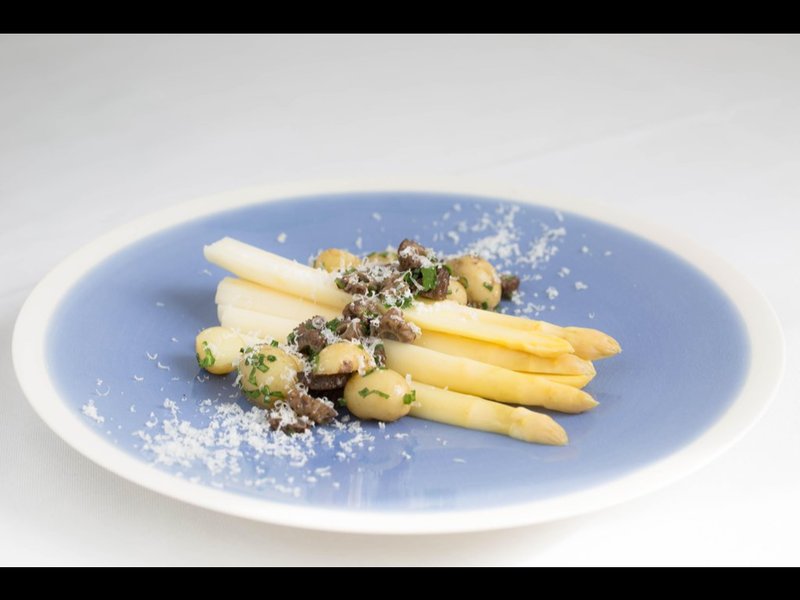 Sadly, London House has now been re-purposed and reformed following Anna’s departure, which is a real shame as we hugely enjoyed a couple of incredible meals there from Anna and her team, who were always so generous and welcoming. 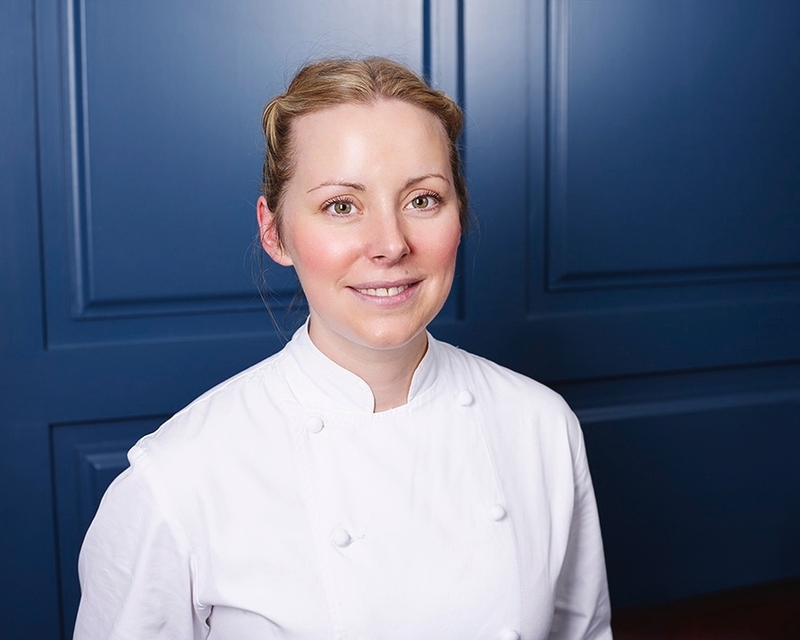 Anna now works as a chef consultant in the UK capital, after a year as Executive head Chef at Bob Bob Ricard, and has carved a bit of a TV career too as one of the chefs on the BBC series Royal Recipes. A Tallaght native, Anna loved cooking from the moment she stepped into the kitchen following her culinary arts degree from D.I.T Cathal Brugha Street. Her stage just so happened to land her in Michelin-starred l’Ecrivain, one of Dublin’s most esteemed, established and celebrated kitchens. We wanted to go back though, first, and hear about her experience growing up in Dublin – whether Anna grew up in a foodie household or not and what memories she has. “My mother is a fantastic cook, but then again so were my aunties and my Uncle Tom. In terms of memories, my mother’s crazy cheese cake recipe – which I got to put on the menu at L’ecrivain! Likewise, her lamb heart stew which I craved whilst living in Paris and had to call her up for the recipe, and her coddle was the best too. Taking her experience in Dublin, Anna left the country and soared, cooking in restaurants across Europe and throughout the States, as well as becoming an integral part of the Gordon Ramsay stable. We wondered what are the differences between Dublin and London restaurants especially, if any? “Each restaurant has their own individual way of running a pass, but essentially all the places I’ve worked are very similar. Highly disciplined; running on minute countdown to the pass; fast-moving but always double-checking the ingredients before going on the plate. 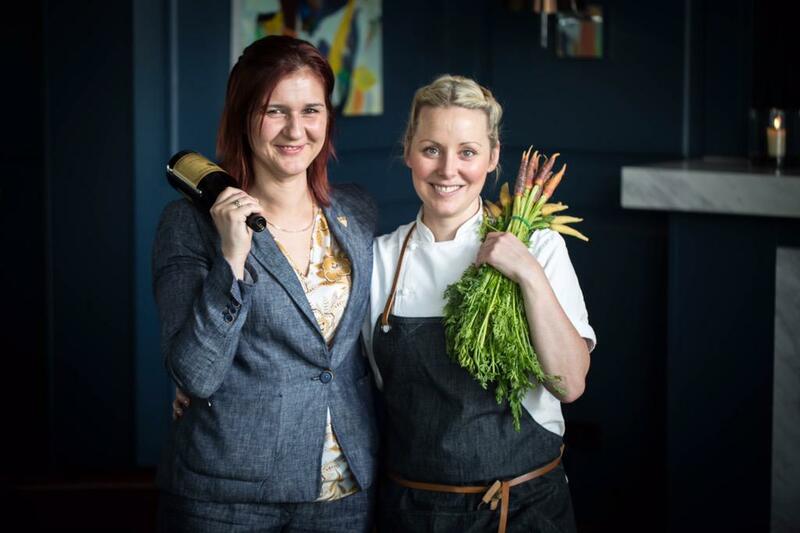 We hate to add fuel to the ‘female head chef’ fire as a head chef is a head chef regardless of gender and talent speaks for itself, but making it as a young, female head chef – especially in London – is no mean feat. We asked Anna what were some of her proudest moments to date. “All of them. I’m very good at finding satisfaction from the little things that others might take for granted. Every single time I was hired I was proud. Every service where I can walk away saying we served the best food we could, I was elated. Winning 3 AA Rosettes was incredibly special. Cooking for my parents; convincing them that being a chef was the right path for me – worth more than anything. We asked who are some of Anna’s idols in the food industry..
We asked Anna where she feels Irish cookery is today – what challenges it faces, what traditions are still alive, and how it’s changing? And as ‘Generation Emigration’ is forever in the headlines back home, is a move back across the Irish sea a possibility or is London Anna’s lily pad for the forseeable? Keep up to date with Anna on Twitter and Instagram and keep an eye out for her at this year’s Taste of Dublin.